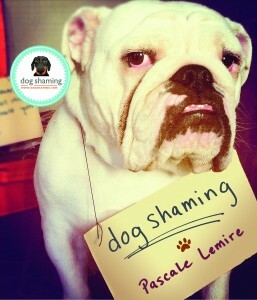 Posted June 8th, 2014 by & filed under Pet Shaming, Submitted. 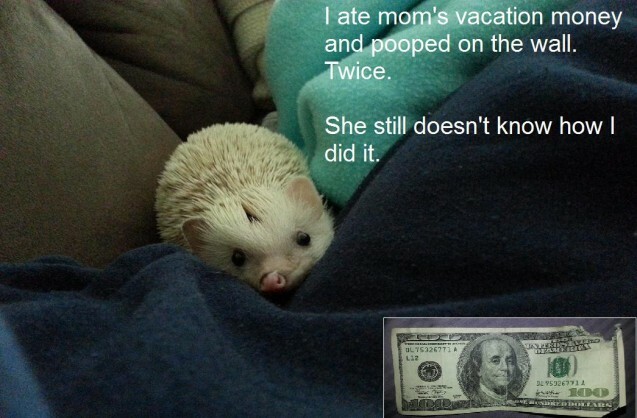 This is our hedgehog, Piglet. He likes to keep us busy. 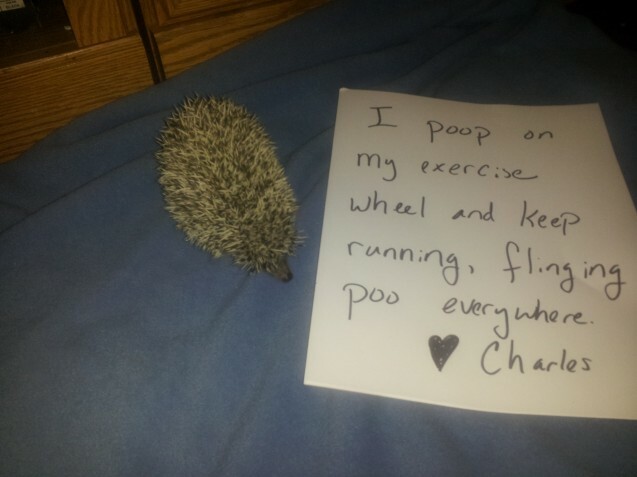 Posted November 16th, 2012 by & filed under Pet Shaming, Submitted, Surprise Poops. Stopping to go to his litter box (literally three inches away) just takes too much time.